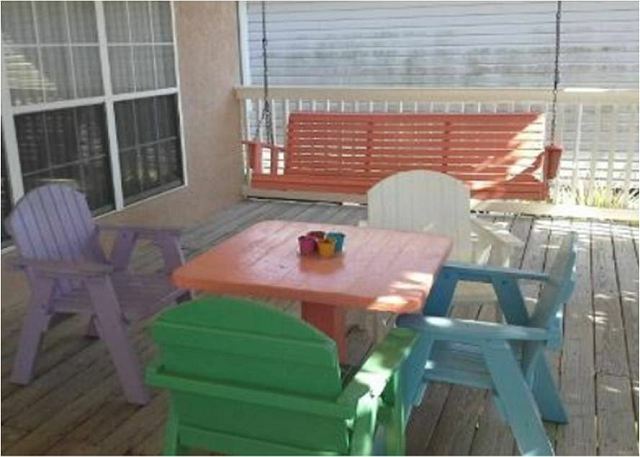 This is a beautiful and beachy private 4 bedroom home in Bid-A-Wee Beach community. 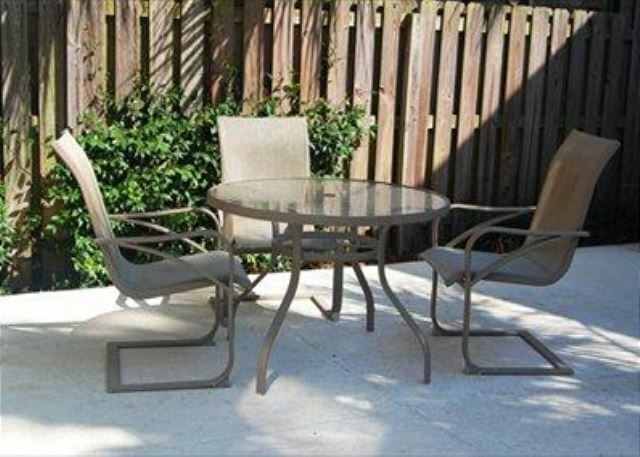 It features a private pool, lovely deck with plenty of room to relax and enjoy the gulf breezes. 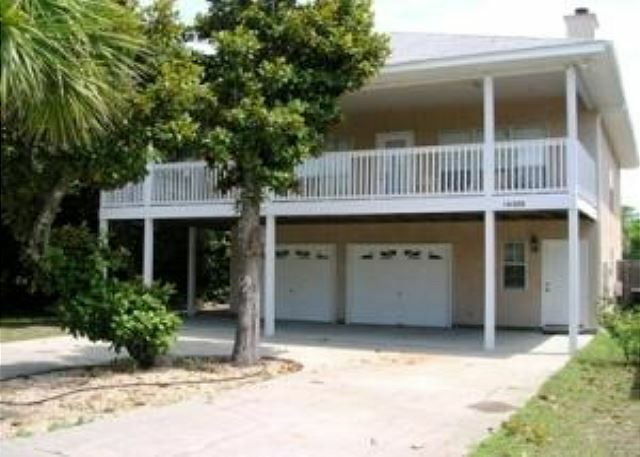 Beach access is just steps away along sidewalks to Front Beach Road (2 short blocks). This half-mile stretch of pristine beach is one of the most beautiful beaches in the world. 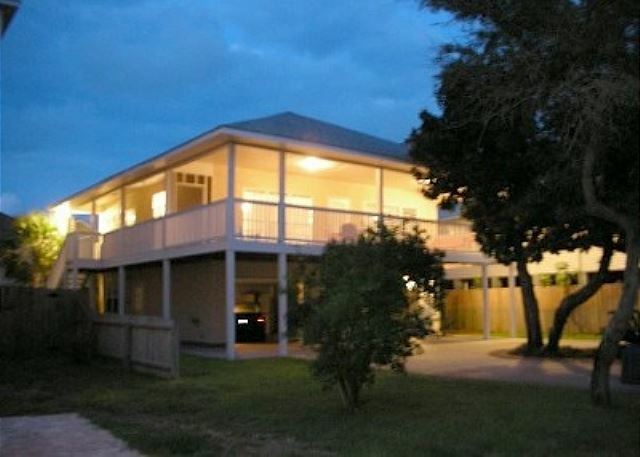 It is private and has gated access exclusively for residents and guests of Bid-A-Wee to enjoy with no absolutely development or buildings to spoil the view. 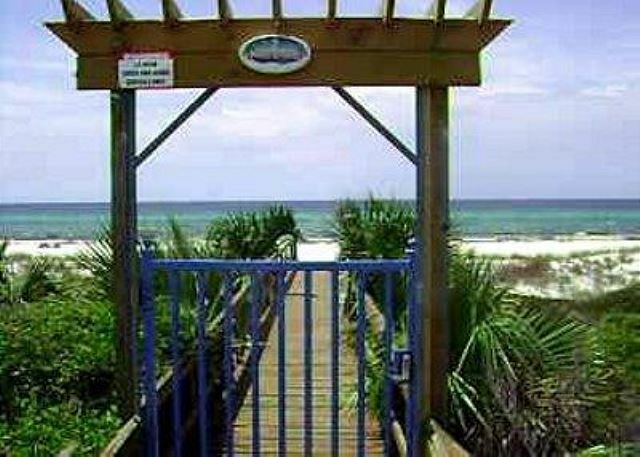 Take a stroll or put your beach chairs in the sand for a relaxing day beside the emerald waters of the gulf. 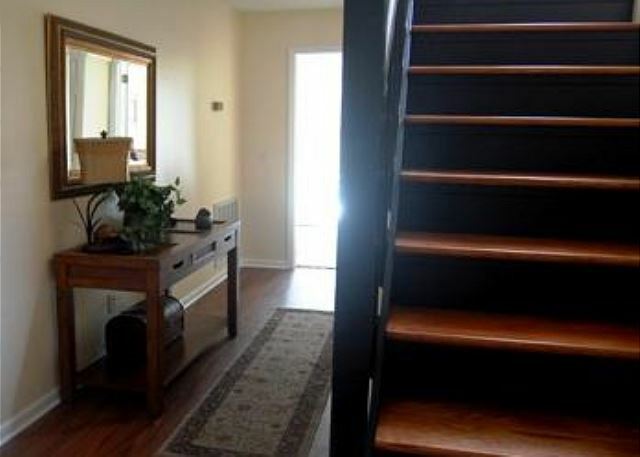 This 4 bedroom 2.5 bath house sleeps 10. 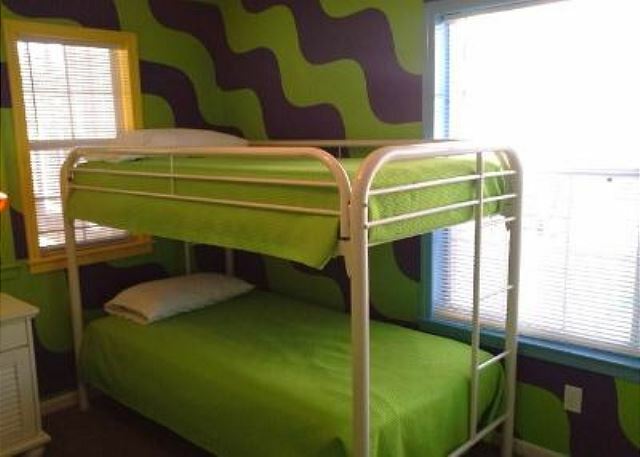 Two bedrooms have king size beds, one has two sets of twin beds (bunk beds), and the fourth bedroom has a trundle bed that will pop up to create another king size bed or two twins. 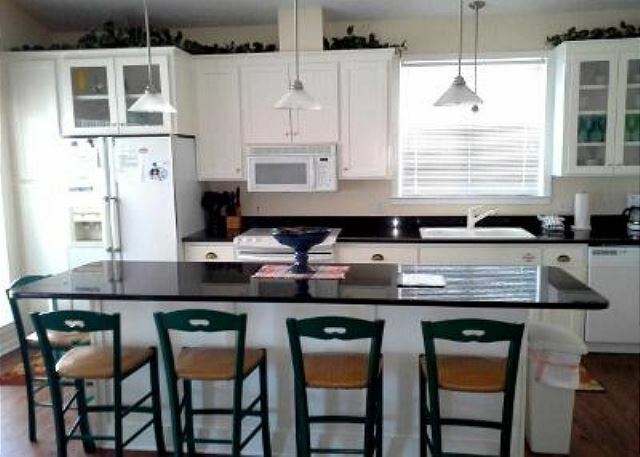 Treetop Retreat has all the amenities to make your vacation comfortable including a full kitchen, dishwasher, washer/dryer, microwave, TV's in all bedrooms and large flat screen TV with Smart Blu-Ray DVR in the great room. Best of all, the beautiful private backyard pool will be your own tropical oasis where you and your family can relax and take a dip anytime you please. 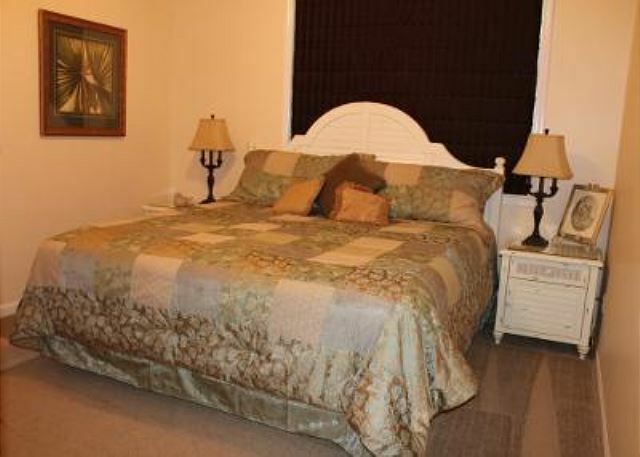 You will love this up-to-date, very comfy, vacation home. 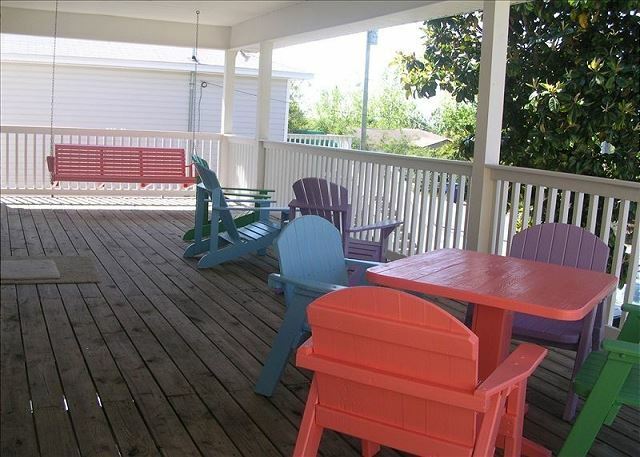 Enjoy lounging on the 30' covered front porch with a porch swing and a set colorful Adirondacks. 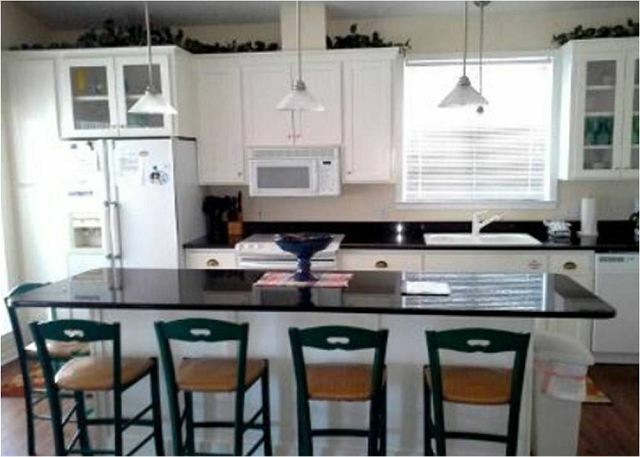 The second-floor kitchen, situated at the end of the large airy great room, is fully equipped with all appliances, cooking gear, and granite counter tops. 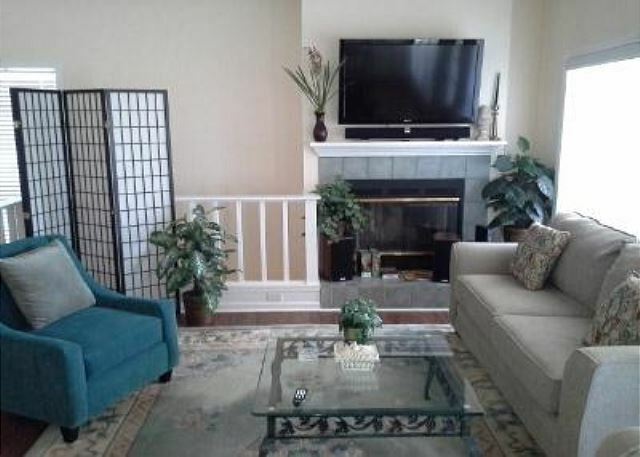 Free WIFI, cable TV and Smart Blu-Ray DVR is provided, and there are TV’s in every room. 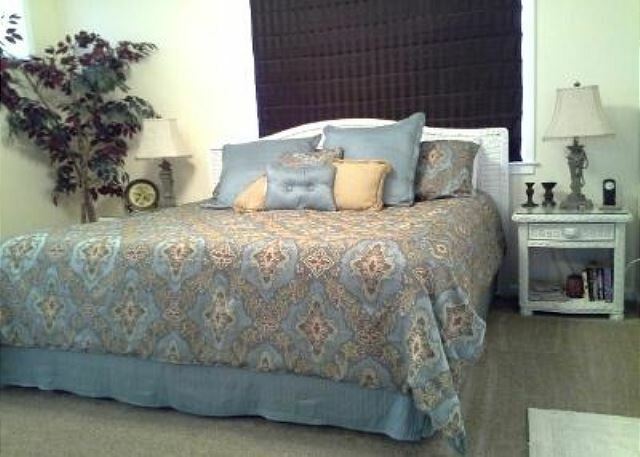 You will rest well in the good-sleeping beds throughout the house all outfitted with new mattresses. 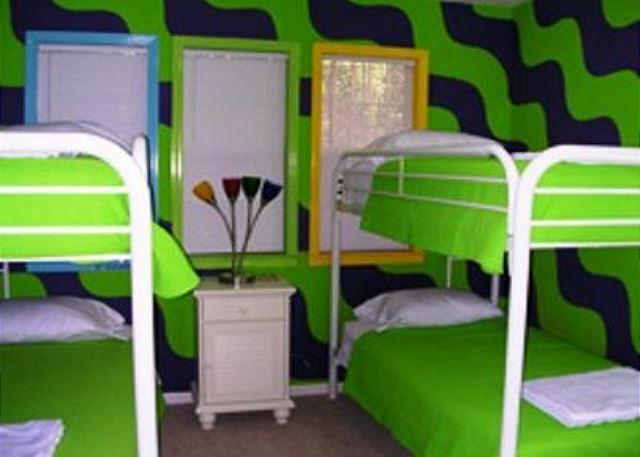 The two upstairs bedrooms feature king-size beds, one downstairs bedroom has a trundle day bed that sleeps two, and the fourth bedroom serves as a kids room with two sets of bunk beds for four more individual beds. 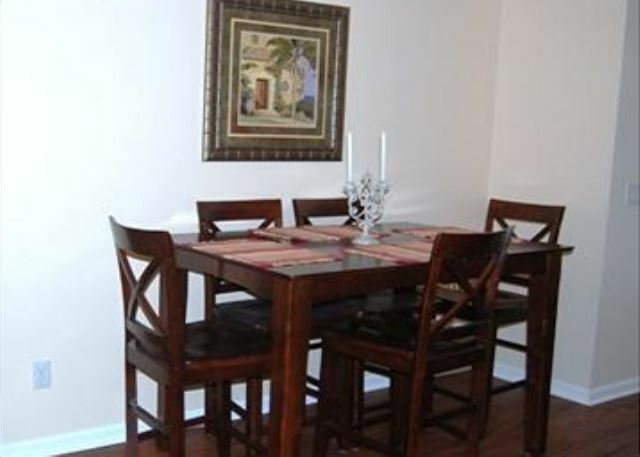 Accommodates a maximum of 10 guests (6 adults and 4 children). Pets are family too; small dogs are welcome here. Best of all, the house has a gorgeous, tropical, private pool – just for you! 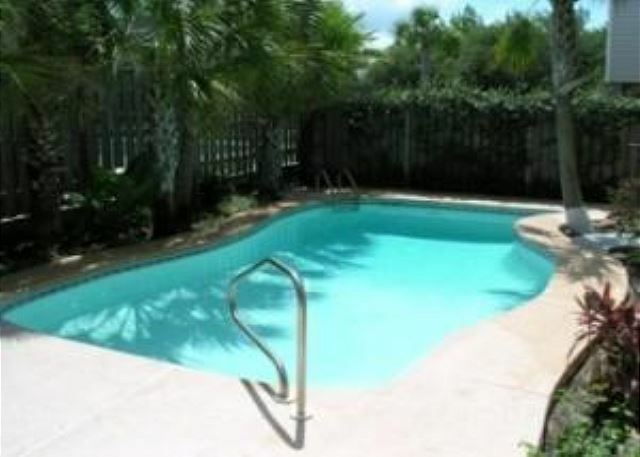 The pool features tropical landscaping with a 6-foot privacy fence surrounding the area. Relax and enjoy! Weekly lawn service and pool service ensure the grounds look beautiful and well-kept throughout your stay. Need extra parking? Our long, double driveways provide plenty of off-street parking your boat, trailer or extra vehicles. But what about the beach? Oh, just take a look at our beach!! It’s a 1/2 mile private section of the beach is the best. 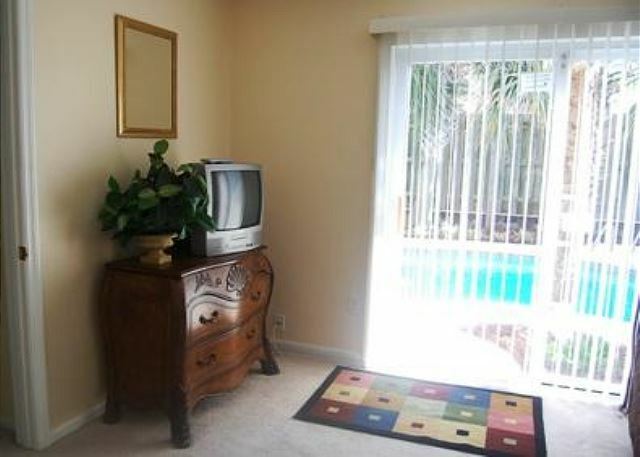 Yes, PRIVATE BEACH—our subdivision, Bid-A-Wee, is located directly across the street from the beach. Lucky for us, and equally lucky for our you! 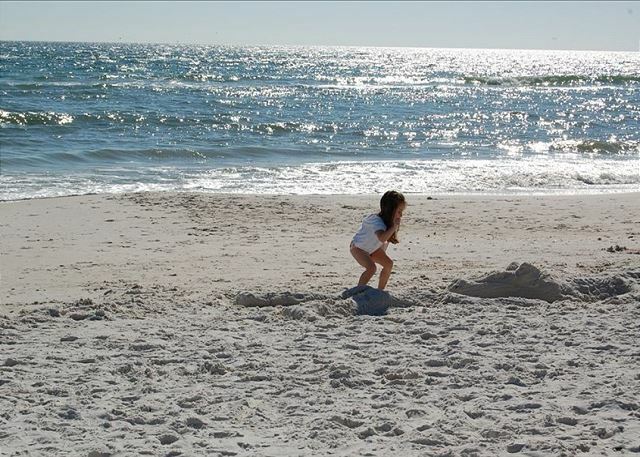 Homeowners in our community actually own the beach, and it's a half-mile of pure white beach -- no buildings, no clutter. It's private, and it just happens to be one of the most beautiful stretches of beach in the world. 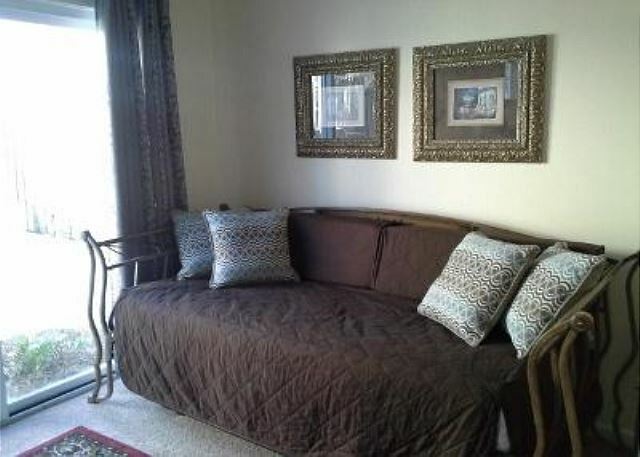 As guests at our house, you will be given gate access to this lovely special spot for you to enjoy. Even better, it's just a short walk on sidewalks from the house to the beach! 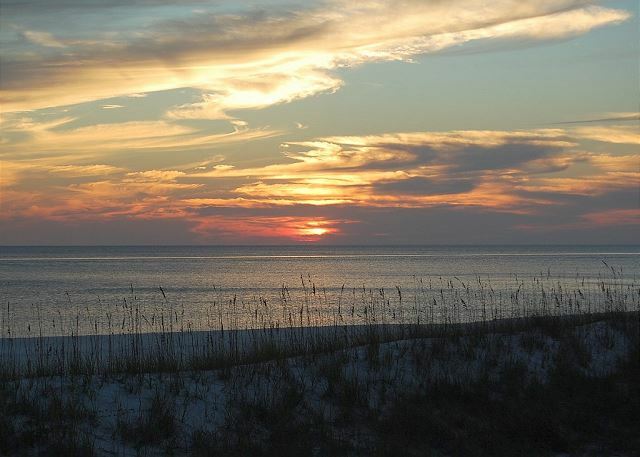 You will love the clear, warm water, brilliant sun and fabulous, unforgettable sunsets there. This beach cannot be topped. Finally, there are 9 bicycles in the garage for you and your guests to enjoy so that everyone in your party can take a leisurely bike ride together breathing in the fresh-made coastal air and enjoying our easy-riding flat roadways. 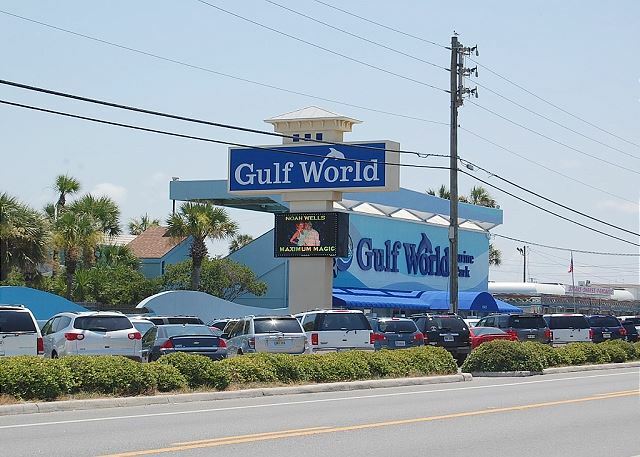 The west end of Panama City Beach is central to a variety of sports venues, dining and entertainment attractions and offers the best shopping in the area. 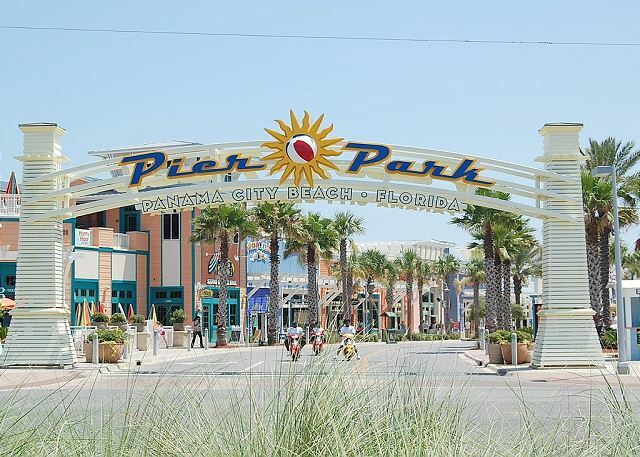 It’s close to Pier Park, go-karts, arcades, zip-line, dune buggy tracks, bungee jumps and more. 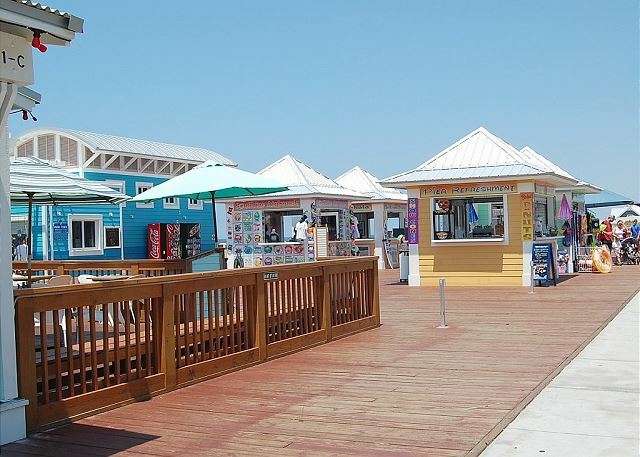 Rent a rod & reel and fish from the pier across the street and catch fresh fish for dinner -- so much to do! This vacation home has it all. Come and see for yourself!